Tom Chambers Baby Bedale Slate Bird Table 160cm constructed using Swedish Redwood, and genuine slate roof, featuring an upright column stand, heavy duty cross base. Constructed from sustainable FSC timber and weather treated with environmentally friendly wood preservative for protection against all types of weather. 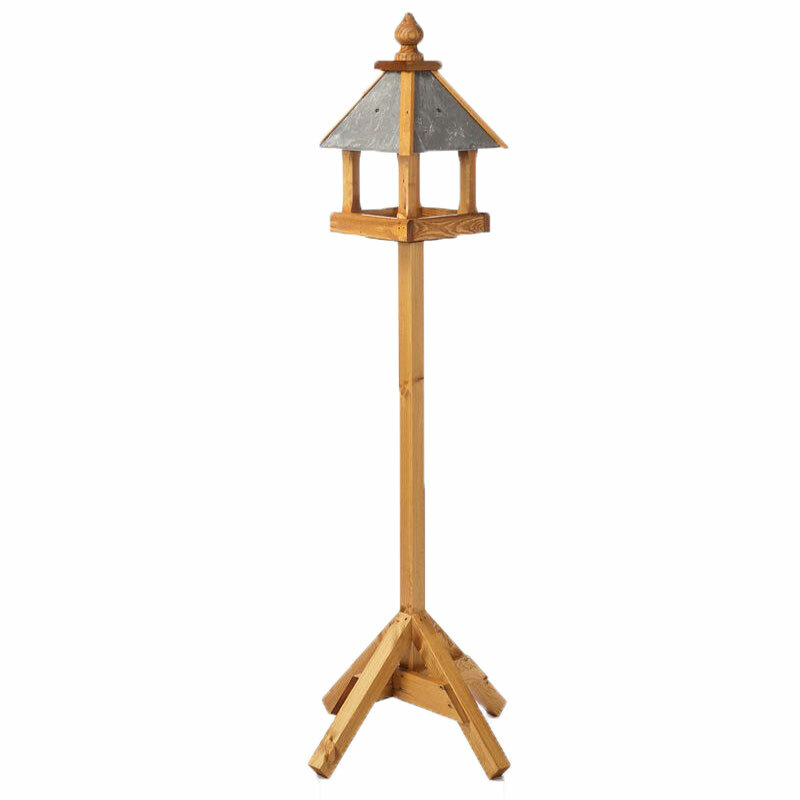 Tom Chamber’s Baby Bedale is a very attractive free standing bird table with rainwater drainage channels to keep food dry and fresh. Supplied in two sections with easy winged nut assembly. Heavy duty timber base. Great service, friendly staff and would certainly recommend you.